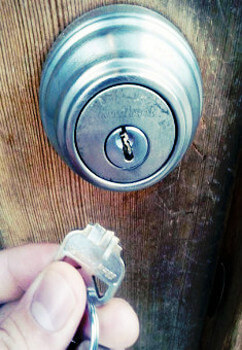 Key extraction in New Braunfels is a process that must be done on locks holding broken keys. Broken keys are keys that have split vertically, making it hard for the key piece still within the lock to be removed. Therefore, another key cannot be used with the lock, making it essentially unusable until this piece of key has been extracted. Regardless of the reason for the broken key, we at New Braunfels Locksmith Pros are here to help. Our expert technicians can quickly get to your vehicle, residence, or business to remove the key piece and make the lock useable again. We are located in and service the New Braunfels, TX area. We provide 30 min response times, allowing you to quickly get on your way after we fix the problem. Our company is licensed, bonded, and insured with fast and friendly locksmiths providing 24/7 locksmith service. We have competitive rates and provide upfront pricing so that we can give you the service you need at a price you can afford. Key extraction for the home is just as, if not even more, important than for a business. Your home should be a safe and secure place for you and your family and a broken key in a lock, especially a front or back door lock, means that there is one less door that can be properly secured. Our mobile locksmiths can get to your home in about 30 minutes to deal with your lock issue. We can also provide consultations on how to improve the security of your home. Also, if need be, we could replace your lock if extraction proves difficult. We can also repair your lock if, in the process of the key breaking, the lock became damaged. Sometimes, even in places of business keys can be broken in locks, requiring key extraction. These keys may break because they are old and rarely used, or even because of troublesome locks in old equipment. When this happens, remember our company. We have reasonable rates and are able to fix your problem with professional service that has made us the go-to commercial locksmith in New Braunfels. Just like with private residences and places of business, keys can get broken in cars as well. Our mobile auto locksmiths can extract keys from your vehicle. Because car keys have become more sophisticated over the years with transponders and other unique features, they can be expensive to replace after being broken. After we have removed the key, we can also provide key making or key replacement services to make driving and/or getting into your car easier, so that you can quickly continue with your day. We at New Braunfels Locksmith Pros not only extract keys but, as stated above, we make keys. We are also available for emergencies. We have the equipment and expertise for your key duplication, key cutting, and lock rekeying needs. We also make spare keys for homes, offices, and vehicles, no matter if the vehicle is foreign or domestic, servicing all makes and models. Our company is licensed, bonded, and insured. We have upfront pricing so you know how much our services will cost from the beginning. Our 24/7 locksmith service is available even on holidays and any other time you need a locksmith. Whether it is a lockout, a key or lock replacement, or security consultations, we are here to help you with all of your lock and security needs. 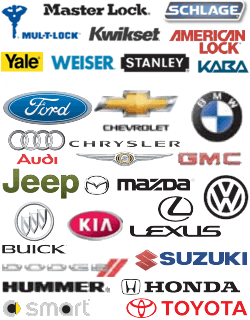 We are automotive, residential, and commercial locksmiths who are proud of what we do and look forward to serving you. Home, Office & Car Key Extraction in New Braunfels http://locksmithnewbraunfels.com/key-extraction/ 4.2/5 based upon 22 reviews.